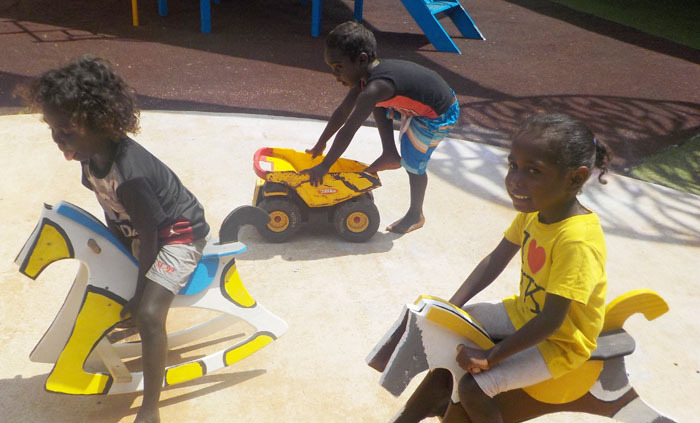 The men who built the furniture for children at Milingimbi Preschool are part of the Community Development Program run by the Arnhem Land Progress Aboriginal Corporation. Teacher in Charge Gayle Chamberlain said the children were thrilled with the donations, testing the fettle of their wooden horses in races. “The men are intending to add wheels to the rocking horses so the children can race them without having to lift them up, or drag them along,” she said.